Cute Cute Crochet is an Etsy shop full of the most gorgeous crocheted goodies. If you're into kawaii-themed items then you'll absolutely love this shop. Look at that face! How can anyone resist? So as you can see, I have a cute little crocheted pumpkin. He's a lot bigger than I thought he would be - around two and half inches tall and two inches wide. I love pumpkins and this little guy is just adorable. 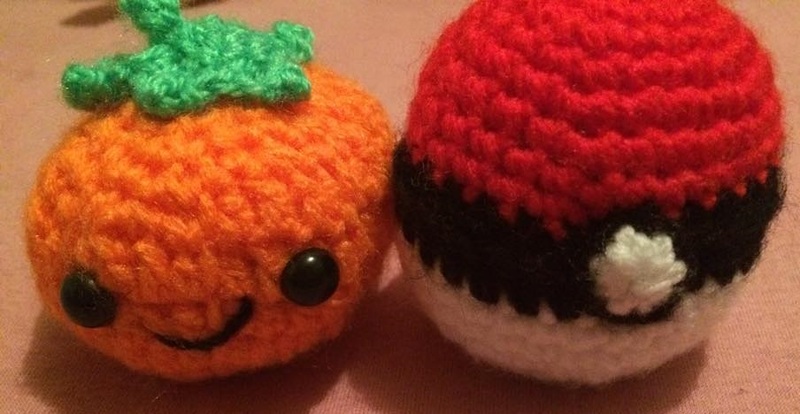 I also have this awesome crocheted Pokeball. This is pretty big as well, and so cool. They both came in little plastic boxes which is a really nice touch. Definitely check out Cute Cute Crochet. They have an amazing selection of cute crocheted creatures and patterns too so if you're a dab hand at crochet then you can make your very own!